Just finished the hidden binding (with a sleeve for a rod to hang the art piece. I darkened the uprights on the fence a bit with permanent marker after I’d put on the dark piping – now the two are more balanced. 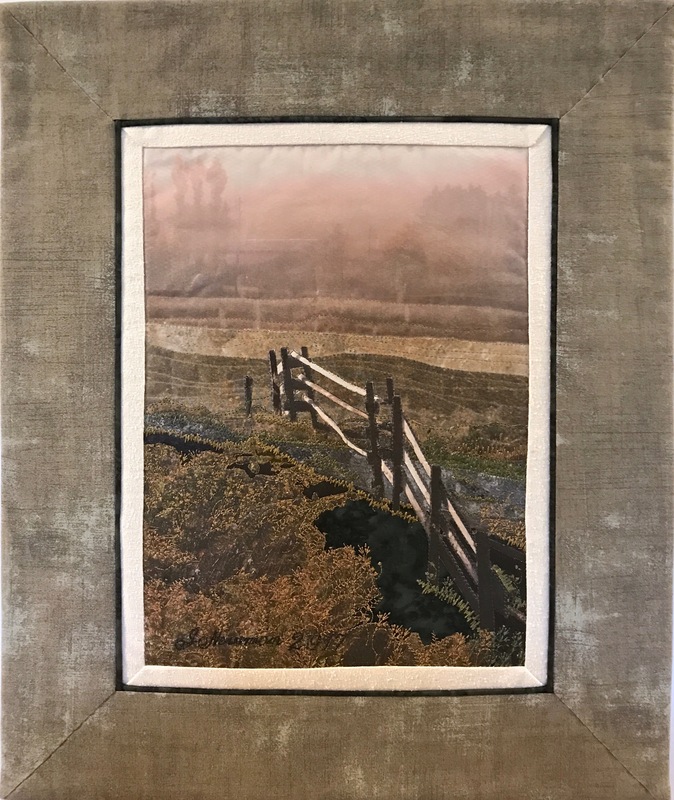 The border fabric has the texture of old barnboard which brings out the colours in the scene in a way I’m happy with. That fabric was a lucky find yesterday – a fabric by Moda: grunge! And the distant fog obscures the trees and buildings in the distance but when you look more closely you can just make them out (as you would with fog). That’s it for now. That gives me eight wall art pieces to take to Parrsboro beginning of September.